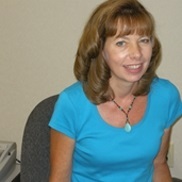 Deb Kelly has worked in the financial services business since 1994 and has been an Administrative Assistant with Overson Financial since December 2000. Deb is Series 7 and 63 registered held through LPL and is able to assist with many of our clients service needs including fund redemptions and beneficiary changes. She is also a Notary Public in the State of MN. Deb lives in Maple Grove MN and has five grown sons, Cameron, Zach, Logan, Evan and Connor. She also has two daughters-in-law and seven beautiful grandchildren. Deb enjoys spending time with her family, walking, reading, scrapbooking and shopping.